Soda bottle jello went viral when the popular YouTube channel AwesomeDisneyToys posted video directions for this revolutionary gelatin confection. I just had to try it out to see what the hype is all about. My takeaway: Yes, it really is as easy and fun as described in the video—check out the easy process below! 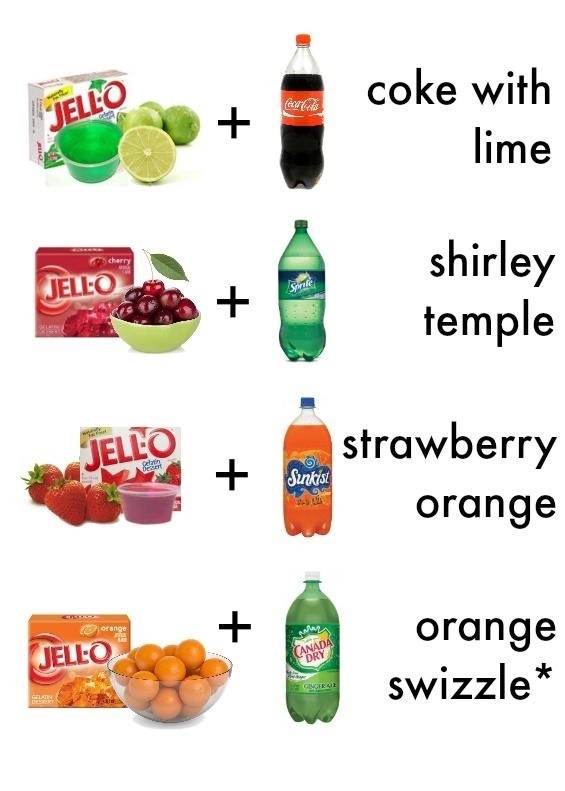 Note: Soda jello is not as sweet as the soda itself. If you prefer more sweetness, add ¼ cup high-fructose corn syrup. 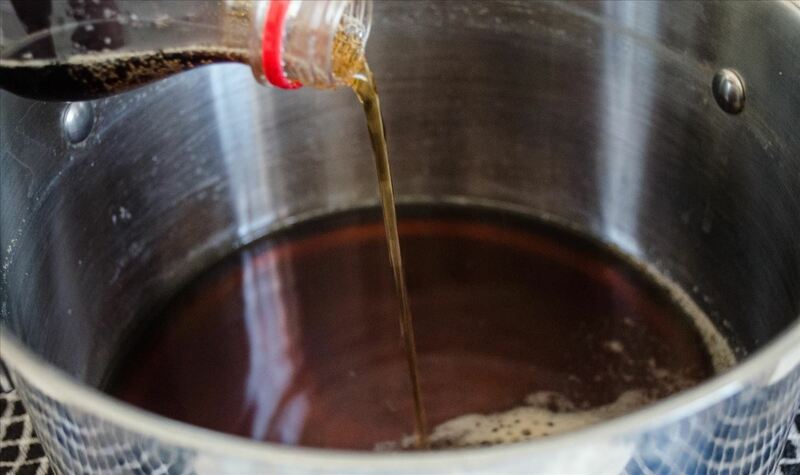 Pour the contents of the soda bottle into a large pot. Then, add all 8 packets of unflavored gelatin and stir. 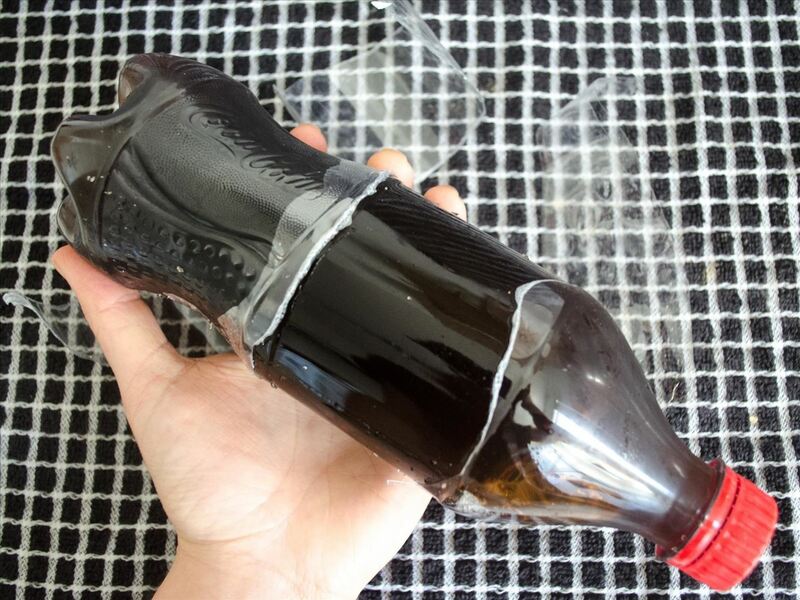 Peel the label off the soda bottle and set it aside for later. 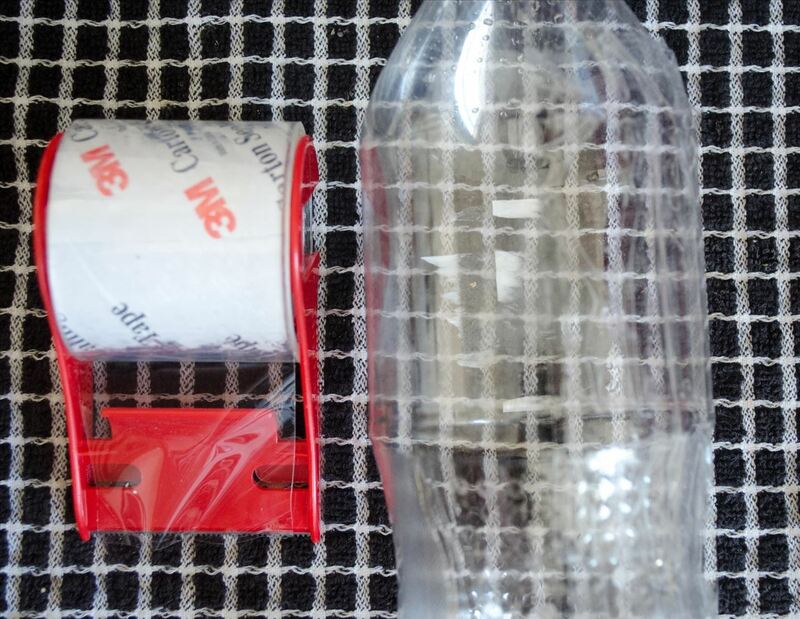 Then, use an X-Acto knife to cut a 3-inch vertical slit down the side of the bottle. This step is important—this slit allows you to remove the bottle from around the jelly toward the end of the process. 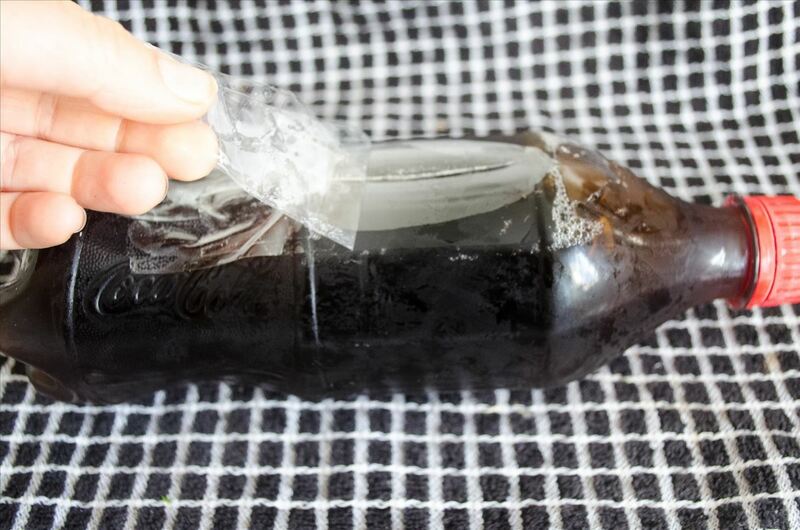 Lastly, seal the slit up with a strip of duct or packaging tape so that none of the liquid escapes when you pour it into the bottle. Turn your stove on low heat. 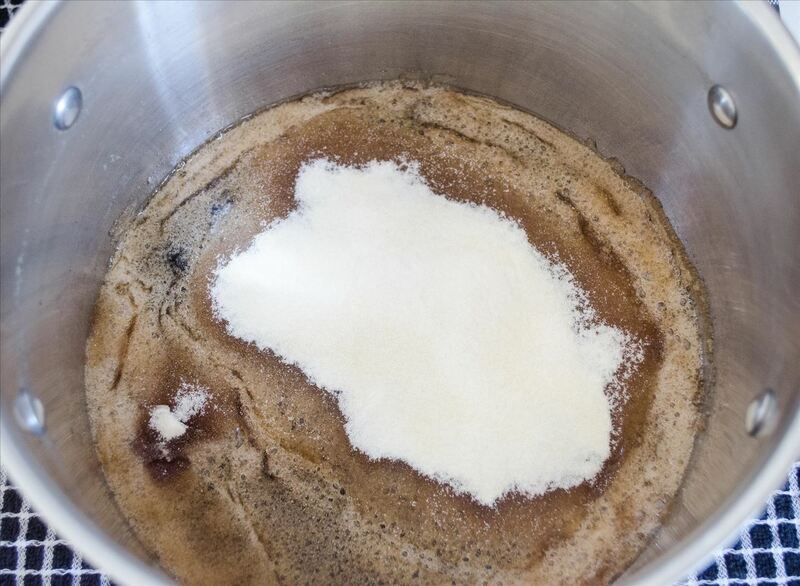 Stir the soda and gelatin mixture constantly. 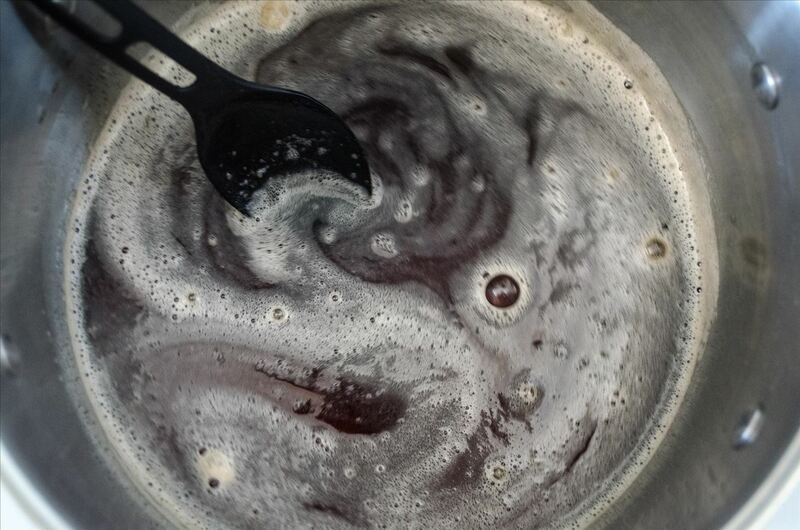 The liquid will foam up, but don't worry; just keep stirring! 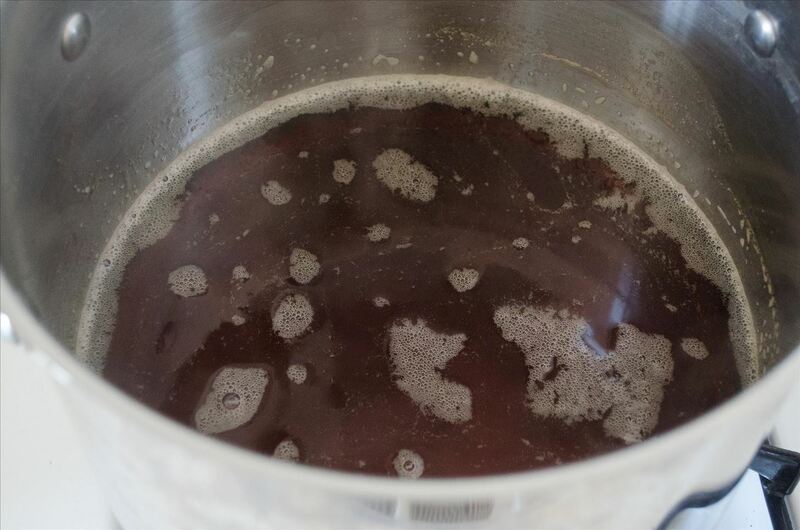 Once the foam disappears, the gelatin will be fully dissolved. At this point, you can turn the heat off and let it cool down for 15 minutes. After the soda is slightly cooled, transfer it into a measuring cup with a pourable lip. 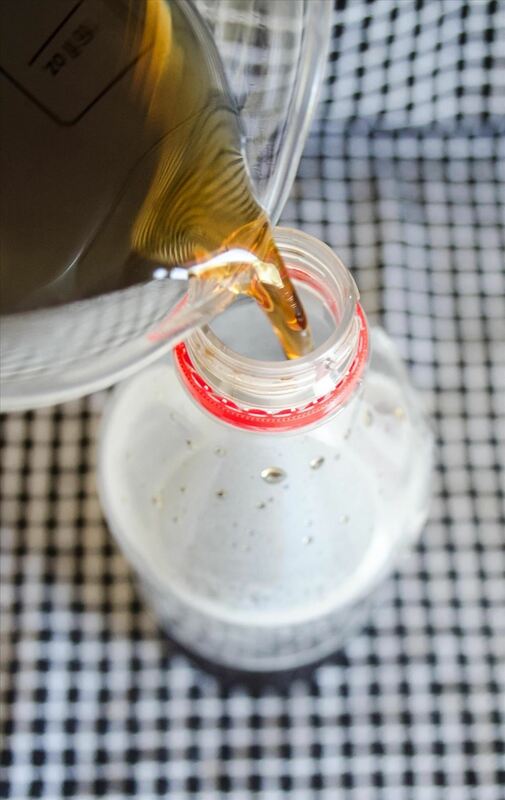 Then, pour the soda back into the prepared soda bottle. 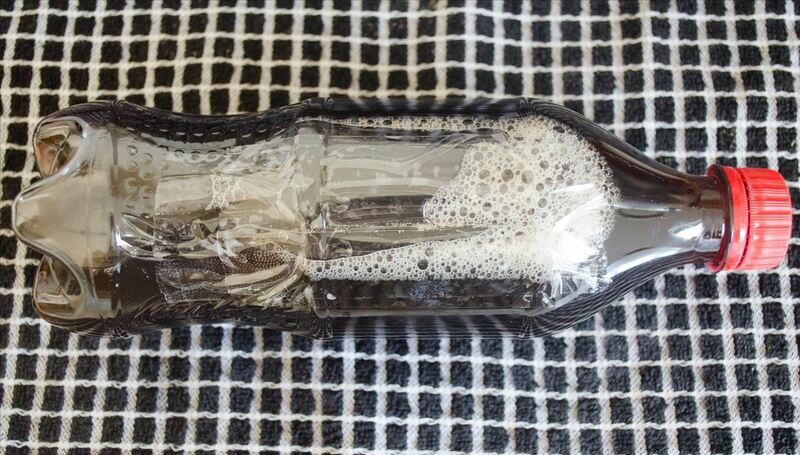 Place the soda bottle in the fridge. Let it chill for at least 3 hours. 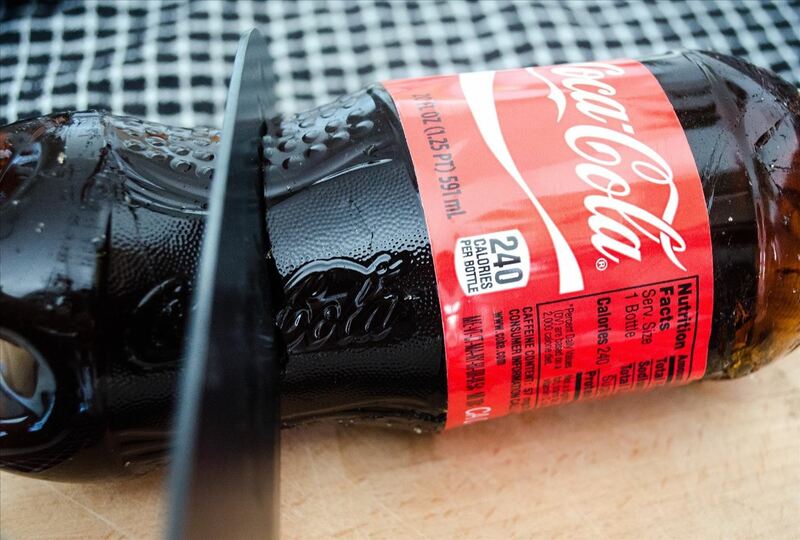 When time is up, take the duct tape off of the soda bottle. Then, use scissors to make 2 horizontal cuts on both ends of the vertical slit you made earlier. 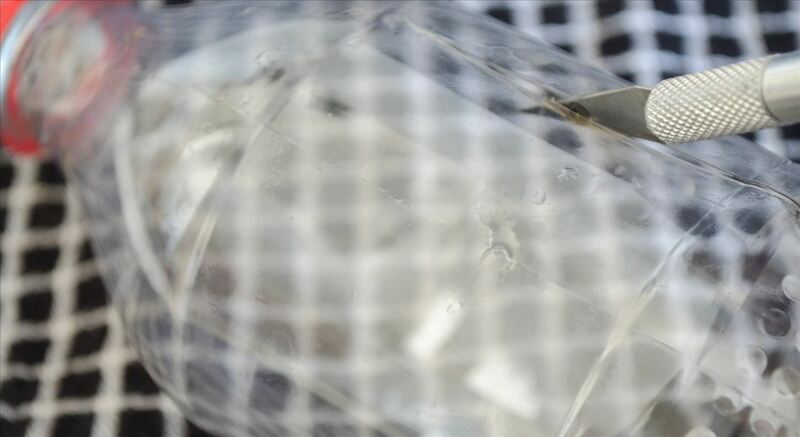 Carefully peel all of the plastic off of the water bottle. 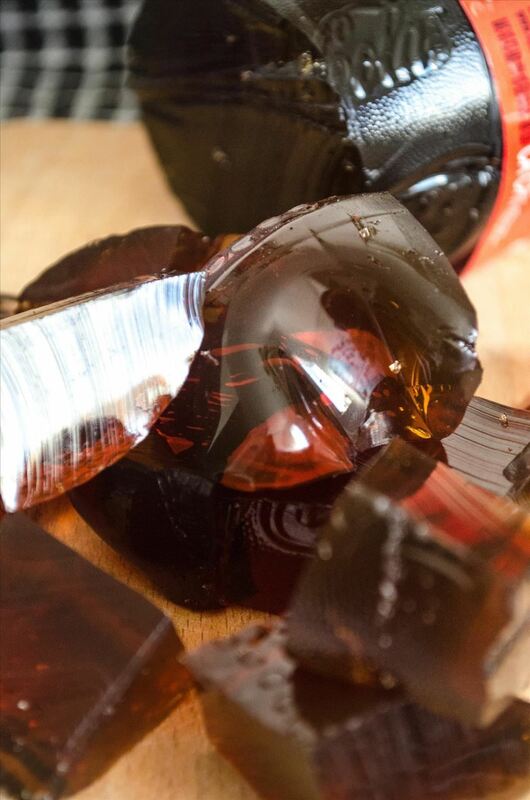 Take extra care when sliding the plastic off of the top and bottom of the bottle. When the plastic is completely removed, you will be left with a jiggly bottle of soda. 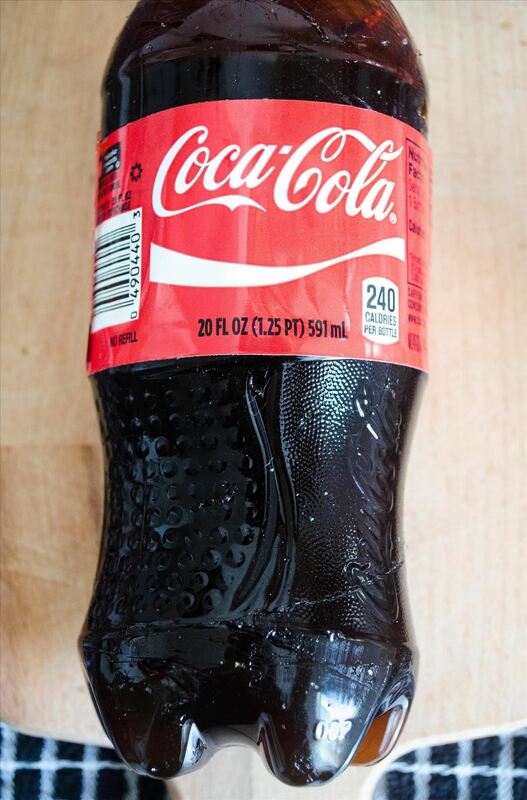 Wrap the label back around the bottle. For the full effect, set the lid right on top of the bottle. Ta-dah! 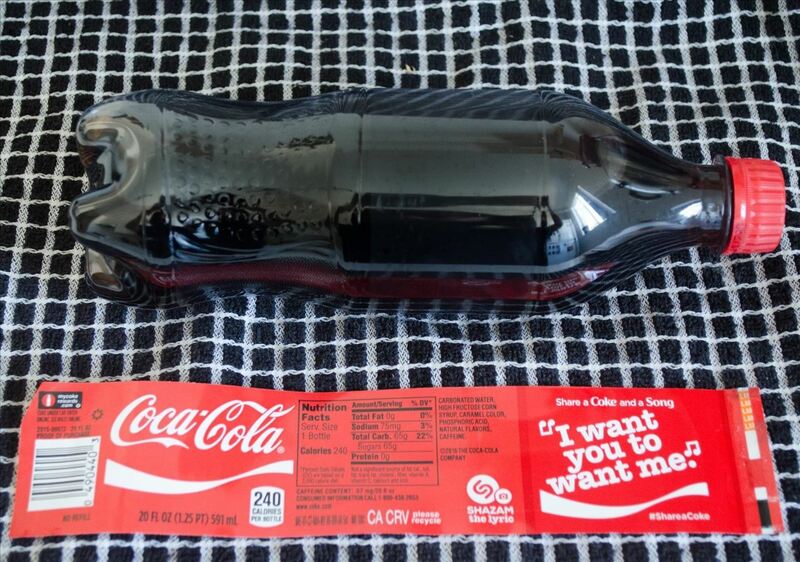 You now have a realistic and completely edible bottle of soda. Step 7: Cut & Serve! Make sure you gauge the expressions on your friends' faces when you cut into the "bottle" if you're sharing it with them—it'll make all of your work worth it. Get Jiggly with Soda Jell-O! 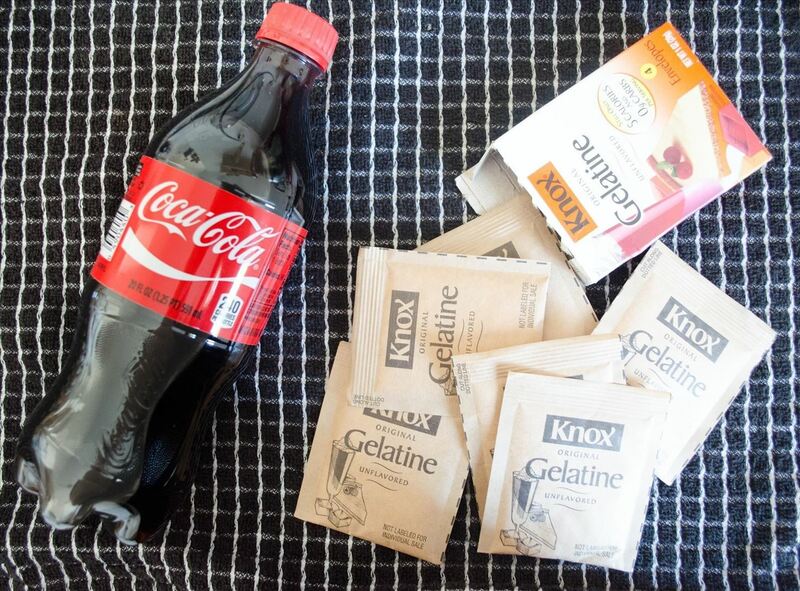 Soda is a sweet and refreshing drink, but soda jello is sweet, refreshing, and fun. Give it a try... and don't be surprised if you get addicted!